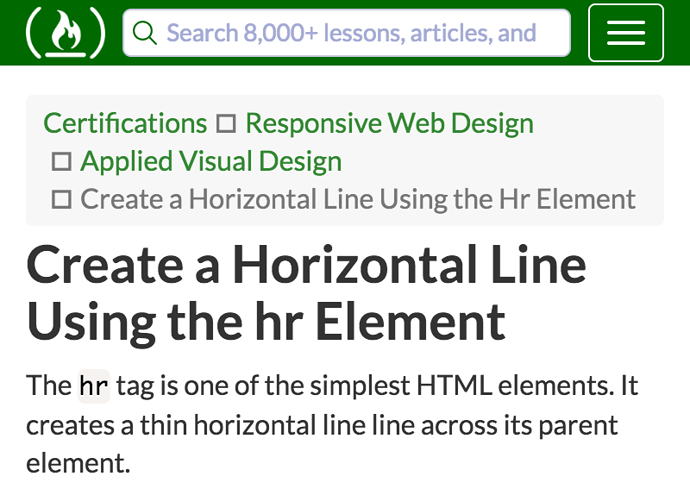 Create a Horizontal Line Using the hr Element?! I’m not sure what’s wrong with my code, someone help please? For your convenience, It is a little bug. However, if you want to know more, just have a look at the picture and I believe it will help to find out the reason of problem. Create a Horizontal Line Using the hr Element?